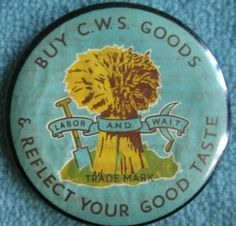 2013 marked the 150th Anniversary of the Co-operative Wholesale Society (CWS) which provided the goods and services for the Co-operative Societies. We wanted to contribute to the celebrations. The North East has played an important part in the history of the Co-operative Movement and so we set out to record the histories of the ordinary people who worked in the factories, warehouses and offices of the CWS. Between September 2013 and March 2014 we recruited and recorded the stories of 35 people who had worked for the CWS at Blandford Street, the factories at Pelaw on Tyne, Birtley Tinplates and Associated Co-operative Creameries. To provide background information on the relationship between the CWS and the Co-operative Societies we also interviewed employees of the Newcastle, Ryhope and Tweedside societies. The oldest CWS interviewee had started working during the Second World War and one is still an employee of the Cooperative Group having been an employee for more than 60 years. We talked to a printer, a tailor, a chemist, an accountant, clerical staff, machine operators, canteen assistants, a bank clerk, bookbinder’s assistants, a manager, sewing machinists and a funeral director. Their experiences and length of service varied greatly. Some gave detailed accounts of their work while others stressed their friendships and social lives. At the outset many doubted that their memories were important but in fact each one added to a rich picture of the working lives of CWS employees in the second part of the Twentieth Century. We had no idea that our interviews would yield such lively detail of the working lives and the processes involved in creating the products on sale in the Co-op shops. The twentieth century was a time of great personal, social and economic change in the North East and we hope through this collection to have captured some of those changes. Our thanks go to Cooperative membership who provided funding for this project and to the North East Labour History Society which supported the project throughout its duration.